Photo Review of 2010. Happy New Year! Happy Birthday to Me-I'm 39 again! 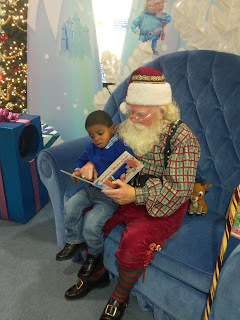 Last year on my birthday, Mason and I went to Santa's Workshop at Macy's in Minneapolis. This year we spotted Santa at the Oakwood Mall in Eau Claire. I think the Santa at Oakwood is the real deal. He's the same Santa I remember as a kid being right outside the ZCMI store in the Cottonwood Mall.